For decades, athletes have been using a secret weapon to help them increase lean muscle mass and decrease body fat. MCT, or medium chain triglycerides, are a type of fat that you find in palm kernel oil, coconut oil, and numerous dairy products, that your body can quickly absorb. The quick absorption and digestion can provide you with numerous MCT oil benefits that include improved cognition, weight management, and heart health among others. Using MCT oil regularly can be beneficial for those who might be struggling with poor digestive health, low energy, hormonal imbalances, obesity, Alzheimer’s, dementia, slow metabolism, inflammatory conditions, and diabetes. The health benefits gained from consuming MCT oils regularly make it an increasingly popular daily supplement. As a clean fuel, they can improve your body’s mitochondrial function, which contributes to reducing your risks for diseases like diabetes, cardiovascular disease, atherosclerosis, autoimmune diseases, epilepsy, and neurodegenerative diseases. In this article, we’re going to learn what is MCT oil, the differences between MCT oil vs. coconut oil and more ways that MCT oil can benefit you. What are the Different Types of MCTs? Where Can You Buy MCT Oil? What Are the Best MCT Oil Brands? MCT oils are extremely easy for the body to break down and convert into usable energy. Their easy absorption into the body makes them an excellent therapy for people that have malabsorption issues or who are missing their gallbladder. They also have many other health benefits when taken on a regular basis. Here are some great benefits you can gain by consuming MCT oils on a daily basis. 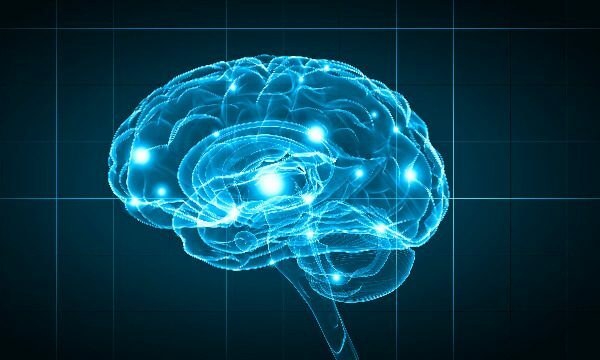 A superior brain fuel, MCTs convert to important ketones shortly after ingesting them. With just 20 grams of MCT, it can offer protection against degenerative neurological diseases like dementia and Alzheimer’s. MCTs are an excellent way to improve your energy without suffering from any of the side effects that other stimulants like caffeine can produce. The liver processes them easily, so they absorb quickly into the body and provide rapid and sustained energy without the need to increase the amount of food you eat. The quick absorption by the body makes it the perfect kind of energy that is perfect for athletes and bodybuilders. MCT oils raise your metabolic rate and help increase your feeling of satiation when you use them in part with a healthy diet. Compared to other kinds of fats and oils, MCTs appear to have positive effects on fat burning, which can result in a reduction in weight. 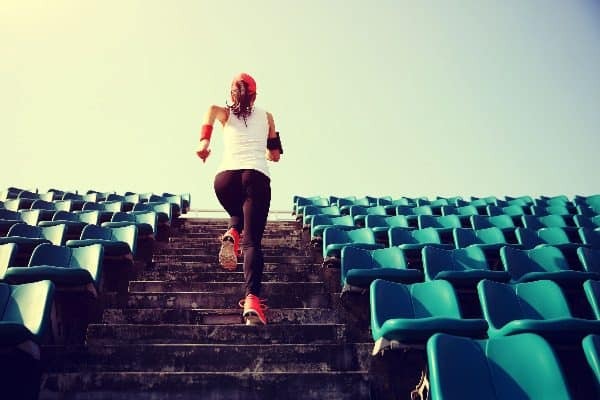 When used as a dietary supplement, MCTs have exhibited the ability to suppress the depositing of fat throughout the cells in the body through improved thermogenesis and fat oxidation. In 2010, The Journal of Nutraceuticals and Functional Foods published a study that suggests that MCTs can help decrease your risk of developing metabolic syndrome. Doctors include metabolic syndrome with a cluster of metabolic disorders including abdominal obesity, hypertension, dyslipidemia, and reduced fasting glucose levels. Their ability to help decrease your odds of becoming obese reduces the risk of developing cardiovascular disease, due in part to MCT oils anti-inflammatory properties, easy digestion, satiating effects, and transformation into energy. Your brain mainly consists of fatty acids, making it necessary to consume a steady supply of these fatty acids through your diet for you to think clearly, feel your best, stay sharp and perform well at your job. Balancing bacteria in the gut is another great benefit of MCT oils, one that provides a positive effect on energy expenditure, digestive symptoms, and the body’s ability to better absorb the vitamins and minerals found in the foods you eat every day. The MCTs can assist in killing a wide variety of pathogenic strains, viruses, and bacteria that are responsible for numerous digestive issues like constipation, candida, food poisoning, diarrhea, and stomach aches, among others. The antiviral properties of MCT oils are directly related to the medium chain fatty acids that you find in the oil. Medium chain fatty acids work amazingly and are unique in that you only find them in a few places in nature. The MCT oils in coconut oil have many antifungal and antimicrobial properties. The medium-chain fatty acids have shown to be effective in disrupting bacterial, viral, and fungal cell membranes, which lead to the cell’s death. Studies suggest that MCT oil kills the microorganisms that invade the body and contribute to chronic inflammation of the intestines. MCT improves the immune system, which defends your body against numerous illnesses and conditions. Because of MCT oil’s quick absorption rate, it protects against inflammatory bowel diseases like Crohn’s disease, Celiac disease, and IBS. Consuming healthy fats is essential for your immune system to function properly. blocking sugars from accumulating in your muscles and energy stores. The fatty acids in MCT oil increase your energy on a cellular level. Increased cellular energy can improve your endurance by sparing the glucose in your body and increasing your body’s glycogen stores. Increased glycogen stores last longer and help delay the fatigue felt by your body after extended activity. For those struggling with hormone imbalance, MCT oils may be what you need. You need to consume enough healthy fats to create and maintain the proper levels of hormones in your body. Hormones are responsible for helping your mood, increasing your metabolism, and preventing depression and other hormonal disorders. High in healthy fatty acids, MCTs contribute to balanced hormones and improve the body’s insulin sensitivity. Improved insulin sensitivity can be beneficial in maintaining a healthy weight. The fatty acids found in MCT oils are ideal for providing a natural moisturizer for both hair and nails. Using it on your scalp can help to treat dandruff, which is essentially a fungus that results in an imbalance of fatty acid in the skin. Getting enough fatty acids, like those found in MCT oil, in your diet can lead to having a healthier scalp. Your brain needs a constant stream of energy to function properly. However, since it is not able to store the energy it needs, it relies on getting its energy from your blood glucose. When your blood glucose levels get low, your liver jumps into action, breaking down stored body fat to produce essential ketones. There are two ways in which you can provide these necessary ketones that your brain needs to function. You can eat a high fat, low carbohydrate diet, or you can consume MCT oils on a daily basis. MCT oils’, medium chain fatty acids, help to raise the blood levels of the ketones so they can easily cross the blood-brain barrier, providing your brain with instant energy. The regular use of MCT oils is linked to lower levels of cholesterol. When consumed with a low-calorie diet, studies have shown that MCT oils can reduce the levels of LDL cholesterol and increase the levels of HDL cholesterol in the body, compared to consuming other types of oils, like soybean oil. The improvements in both cholesterol and antioxidants have been shown to help reduce the risk of heart disease over the long term. MCTs are a unique type of saturated fat known as medium-chain triglycerides. Triglycerides are the fat molecules that are made up of glycerol and three fatty acids. At least two of the fatty acids that branch off of the glycerol is considered medium length, meaning they have between 6 and 12 carbon atoms. Because they are relatively short, MCT oils are easier to digest, allowing them to burn as fuel rather than getting stored as fat. Is MCT oil and coconut oil the same? While coconut oil contains the highest levels of the MCT oil, the main difference between the two is that MCT oils are more concentrated and are composed of the four different kinds of MCT oil. Unlike coconut oil, MCT oil is manufactured to separate the medium-chain triglycerides from the rest of the fatty acids. There are four different types of MCTs that coconut oil contains. True MCT can bypass processing by the liver, making it easier to be absorbed into the body and transformed into useable ketones for your body to use as energy. MCT oil is solely composed of medium-chain fatty acids and in its more concentrated forms, provide even stronger doses of anti-inflammatory, antioxidant, and immune-boosting fatty acids. Caproic acid is a medium chain fatty acid that is made up of six carbon chains. It comes in minimal concentrations in MCT oil and is often unintentionally processed out of them. This type of fatty acid tastes unpleasant but can be converted to useful ketones quickly, along with valuable clean energy sources and ATP. It is a highly effective treatment for conditioning the skin without breaking down fatty acid chains. Caproic acid has long been used to treat skin conditions like athlete’s foot and ringworms. Caprylic acid is an important medium chain fatty acids. Low concentrations exist in coconut oil. It is directly linked to improved cognition and quickly converts into usable energy without being processed by the liver. It is also known to provide a burst of energy, while providing immune support, due to its antibacterial and antioxidant properties. This fatty contains ten carbon chains and makes up around nine percent of coconut oil. It doesn’t get absorbed as quickly into the body as C8 fatty acids but is typically the less expensive form of MCT oil supplements. Like the C6 and C8, capric acid bypasses processing by the liver to process into usable ketone energy quicker. The most abundant type of MCT, lauric acid contains 12 carbon chains and composes nearly 50 percent of coconut oil. C12 fatty acids aren’t able to bypass being process by the liver. Instead, they stop in the liver before converting to useable ketone energy. Our digestive system breaks the acid down into monolaurin, which defends our bodies against pathogens, viruses, fungi, parasites, and bacteria. It’s considered one of the healthiest fats in the world, but can be hard to find in its natural form. You can use MCT oils in a variety of different ways. Add it to your salad dressing, blend into a smoothie, add to your coffee, and cook with it. Take 85 mg of MCT oil daily to enhance athletic performance. Additionally, use it just like coconut oil and add it to your homemade shaving creams, skin care products, toothpaste, and acne scrubs. 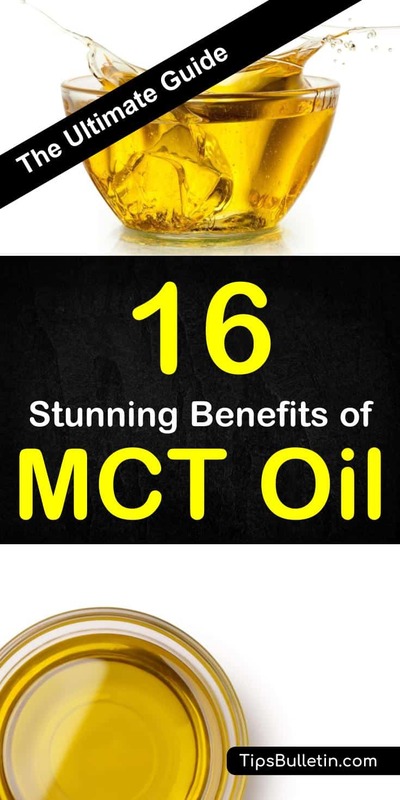 MCT oil has very minimal side effects and is usually as a result of the supplement being of poor quality. When first starting the supplement, you may experience side effects. As you continue to take the supplement, however, you will notice that the side effects will gradually diminish and that your body will acclimate to the oil. When you are first starting with an MCT oil supplement, you want to begin with just one tablespoon per day. After your body becomes used to the supplement, you can increase your intake to three tablespoons a day. If you are using MCT oils to boost your metabolism, improve your cognitive function, or maintain a healthy weight, take one to three tablespoons every day, in the morning. To avoid MCT oil products that may contain harmful solvents and unnecessary ingredients, you want to be sure to avoid purchasing low-quality products. Consumers consistently rank the following MCT oil brands the highest. 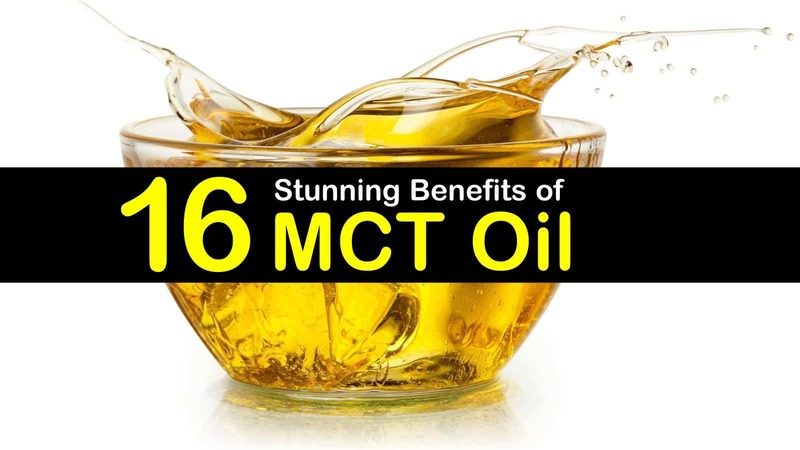 As more people learn about the numerous health benefits that MCT oil provide, it is becoming more popular over the years. With its quick absorption and easy digestion, MCT oils offer numerous physical and health benefits. In this article, you learned about MCT Oil benefits. You learned what is MCT oil, and you learned the difference between MCT Oil vs. coconut oil. I hope you found the information contained in this article useful, and as always, please feel free to share this article to Facebook, Twitter, and Pinterest with your family and friends.